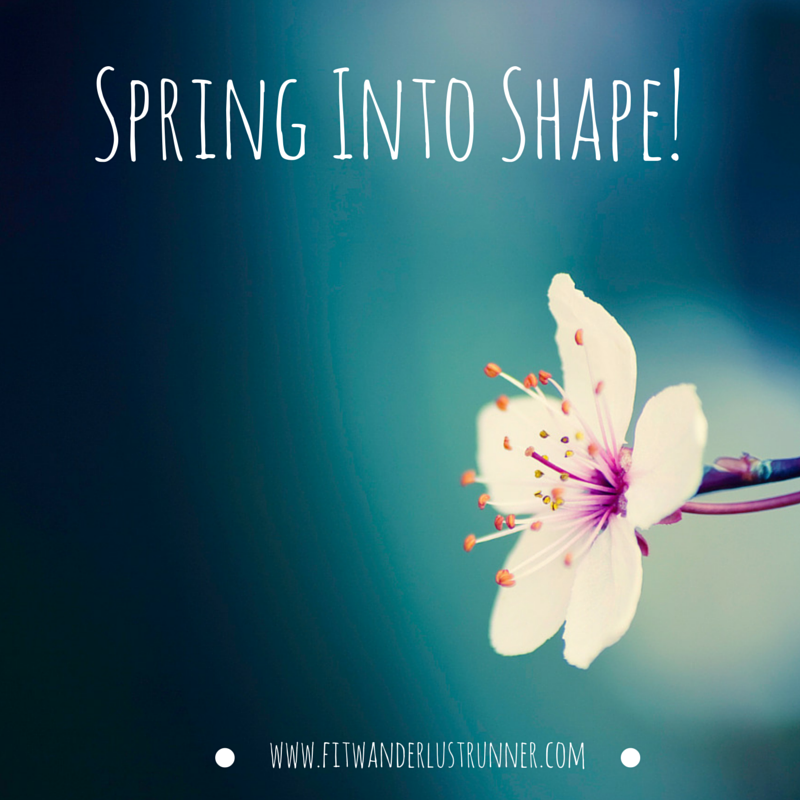 Fit Wanderlust Runner: Friday Five: Spring Into Shape! Over here in California, spring showed up a few weeks ago. We didn't get much of a winter in comparison to my East Coast friends. They seemed to have gotten the short end of the stick. The weather over here has been pretty amazing and at times a little too hot for this time of the year. But now that "technically" spring is coming, what better way to celebrate the season change than by getting back in shape! Once again I am linking up with with Courtney from Eat Pray Run DC, Mar from Mar On The Run, and Cynthia from You Signed Up For What? for Friday Five. This week's topic is spring! 1. SIGN UP FOR A RACE: It doesn't have to be a marathon. Even a simple 5K race can be just the motivation to get off the couch and be active. I have a race on May 31st which I am pretty excited to run. Any one else running the SD Rock N Roll Half Marathon? 2. TRY AN EXERCISE CLASS: Are you in a rut with your regular workout routine? Then spicing up your choices is just what you need. Maybe it's time to finally take that Zumba class or try that spin class. I am dying to try a bar class but haven't gotten around to it. 3. FIND A WORKOUT BUDDY: Sometimes all you need is just a little motivation to get you started. That's where a workout buddy comes in! Both you and your buddy will pump each other up and in turn motivate each other. I am still looking for a running buddy here in San Diego. 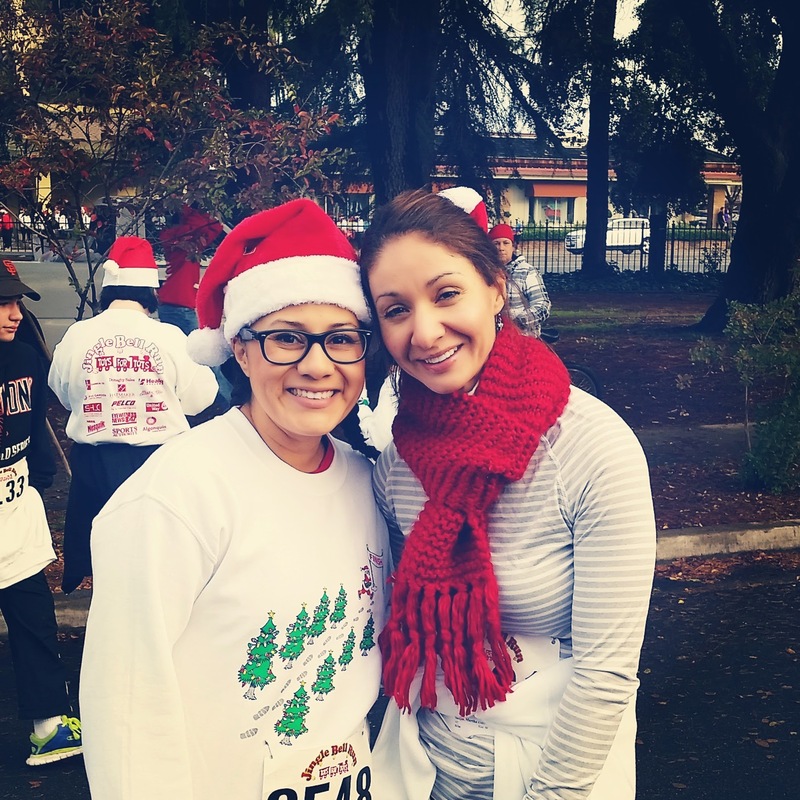 My running partner in Fresno was awesome and will be very hard to replace. 4. SET REALISTIC GOALS: If you hibernated all winter then setting a goal to train for an Ironman in a month isn't really realistic. Start off slow and make weekly goals so your long term goals don't seem so daunting. 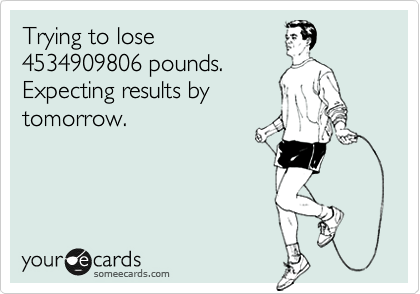 For example is you are hoping to loose those pesky 5-10 pounds, realize that you won't loose the wait after ONE workout! 5. EAT WELL, DRINK LOTS OF WATER, SLEEP WELL: The best way to spring back into shape is by mentally and physically preparing your body. You are what you eat, so change your eating habits if all you are doing is eating processed food. I feel the best when I am eating healthy and staying hydrated. Water is an essential nutrient that the body needs and craves. Also getting the adequate amount of sleep keeps me energized and ready for workouts. I've realized my body runs best if I get more than 7 hours of sleep. I know sometimes that's impossible to achieve with so much going on, but I still try.